Are you a Twitter pro who is wielding questions, receiving replies and growing your campaigns fast and with ease? Or are you struggling to get more followers and increase engagement even though you practice all of the “successful” Twitter strategies? Marketing agencies and individuals are on the ball constantly testing successful Twitter accounts to discover the practices that will bring tweeters maximum success. They analyze the ideal times, length and content of tweets and determine what garners the best results. Please note: The success of your Twitter campaign will solely be determined by the unique responses of your audience. Follow these tips, but make sure to keep them targeted to your followers. Tweeters are generally active during the day from 8 am – 7 pm, 7 days a week. Generally, people use Twitter during “on” hours, and access Facebook during their “off” hours since it is a more personal network. Determine whether your audience is more active on weekends or during the week by conducting a test. Within one month spans, tweet the same number of times on the weekend only, and then during the week. Tweet similar type content whether images, questions, etc. and at the same times so you can accurately gauge results. This isn’t a scientific test and it isn’t 100% foolproof, but it can give you ideas that will help you tighten up your strategies. Note: The success of timing tweets will depend more on the specific traits of your audience. For example, in one of the instances, daytime tweets garner the best response; however, if your audience sleeps during the day and checks Twitter at night, this strategy is not sufficient. Too much of a good thing is not a good thing! Marketers find a great strategy and use it until it is no longer is effective. Too much of any social strategy will eventually be identified as spam. Hashtags are one such strategy. According to studies, one to two hashtags per tweet will generate engagement. More than two and your engagement percentage will drop. Even though Twitter allows a maximum of 140 characters, this doesn’t mean you should use up every ounce of space within each tweet. 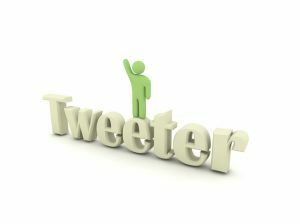 Studies show that tweets less than 100 characters receive more engagement than longer tweets. So the next time you want to wax eloquent, consider that less is more in this case. Add links to your tweets to display your willingness to offer great content to your followers. Place a space before the link url so the link is clickable. Also, use varying types of content, such as images and re-tweets. Twitter now allows you to automatically re-tweet; however, this may affect your engagement levels because unless the follower clicks “interactions” in their admin panel, they won’t know you re-tweeted them. To gain the attention of the people you are re-tweeting, spell out the word “retweet” or “RT” next to the person’s profile name. The recipient will receive notification in his/her mentions and see your tweet, prompting a quicker response. With a few tweaks you can change your “good” tweets to “great” ones. Thanks to Buddy Media for the helpful research.